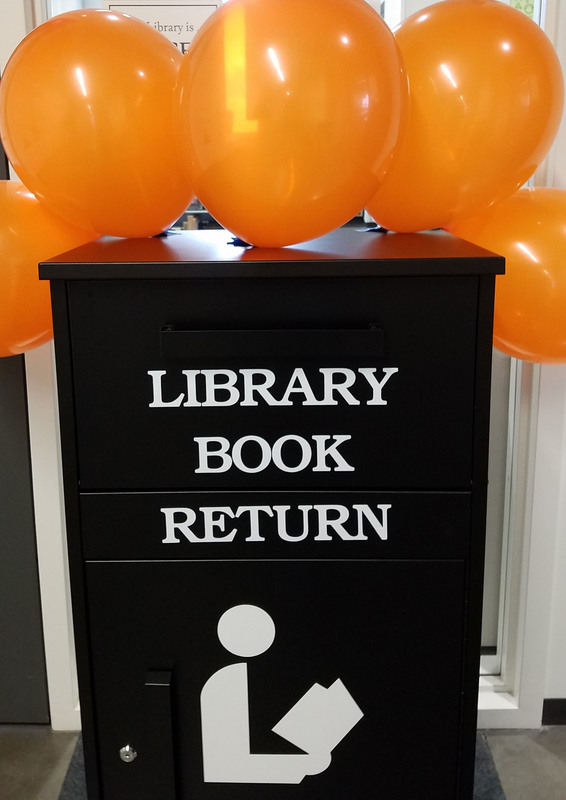 Introducing the Library's official Book Return!!! When we are unavailable or are closed, you'll find this right outside the Library's door. Please still return equipment and delicate items to the library's desk to avoid being charged for damages.